Can it still be Special without Jerry Dammers? Following a special undercover appearance at this year's Bestival after a reformation announcement back in April, The Specials have announced an eight date UK tour next year. The 2009 jaunt will mark the ska band's 30th anniversary. 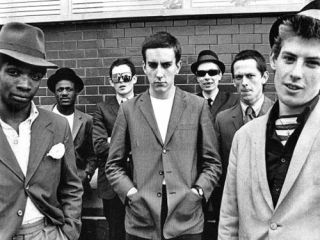 Frontman Terry Hall, Neville Staple, Sir Horace Gentleman, Roddy Radiation, Lynval Golding and John Bradbury have all re-signed for the celebrations, leaving Jerry Dammers as the only original member to decline. "It's the right time to do it [reunite] - we talked about it at 25 but we weren't together enough, Terry Hall told the NME. "Now we're all getting on and it feels comfortable again." Jerry Dammers was also absent from the Bestival appearance line-up, where the band played under the moniker Terry Hall And Friends. Regardless, with or without Dammers, The Specials' upcoming tour is the first official get together since 1981.